The 2017 International Day Against DRM will take place on Sunday, July 9th. Become a co-organizer of the Day or read about last year's Day on this page. More information coming soon. Read about the success of the Day in our followup post. All images CC BY. Digital Restrictions Management. DRM. The software that comes bolted to your digital media and devices and tries to police your behavior. The major media companies are its masters, and they justify it as a necessary evil to prevent filesharing, calling it Digital Rights Management. But it does more than that, and worse than that. Giving its unaccountable owners power over our cars, medical devices, phones, computers, and more, it opens a deep crack in our digital rights and freedoms. That crack will only get wider and more dangerous as our societies continue to interweave with technology. Today is the tenth anniversary International Day Against DRM, and we're celebrating a decade of resistance with a new timeline, to which you can add your own speculative entries. But we won't rest while we celebrate. Today, online and at events around the world, we're working to explain DRM to everyone who is affected by it, so that we can regain popular control of our media and technology together. Read our intro to DRM and explore our work. Share on social media with the hashtag #DayAgainstDRM. Participate year round by joining the DRM Elimination Crew List. 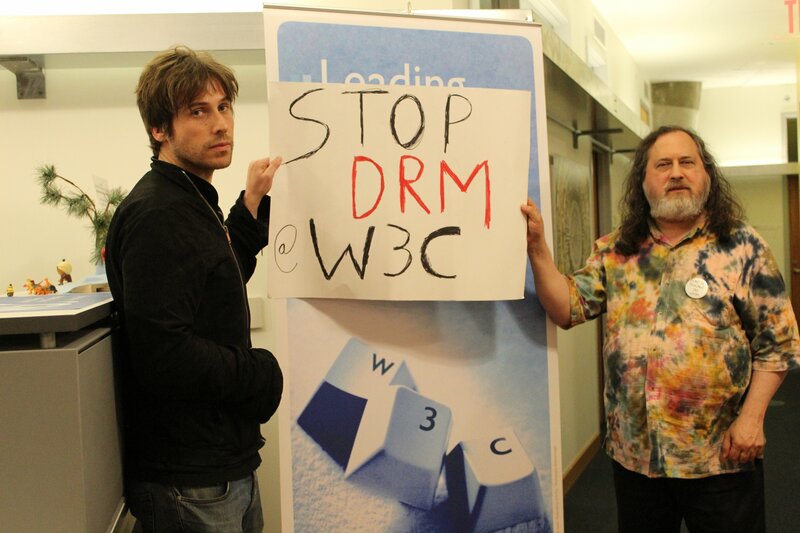 Take a selfie and sign the petition against the proposed universal DRM system for the Web. Envision a future victory against DRM with a speculative entry into our timeline. Add our graphics to your social media profile, Web site, or blog. Submit a DRM horror story to the Electronic Frontier Foundation to support their campaign for required labeling of products encumbered with DRM. Make a blog post, video or song telling the world why you won't buy any products that are locked down by DRM, and link to it from the LibrePlanet wiki. Share our DRM-Free Living Guide with your friends and family. Attend or organize an event in your area. See the current list of events, or announce your own, on the LibrePlanet wiki. 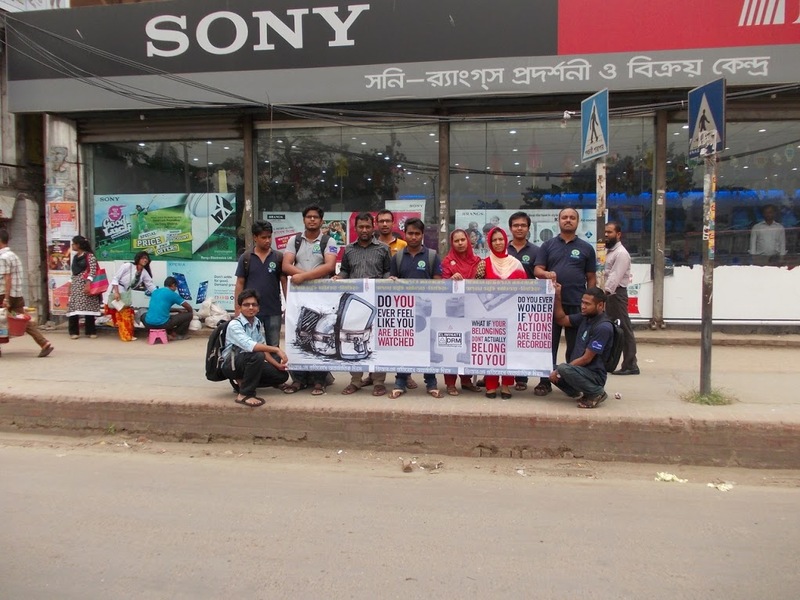 Expose the problem of DRM to your community, in person or online. 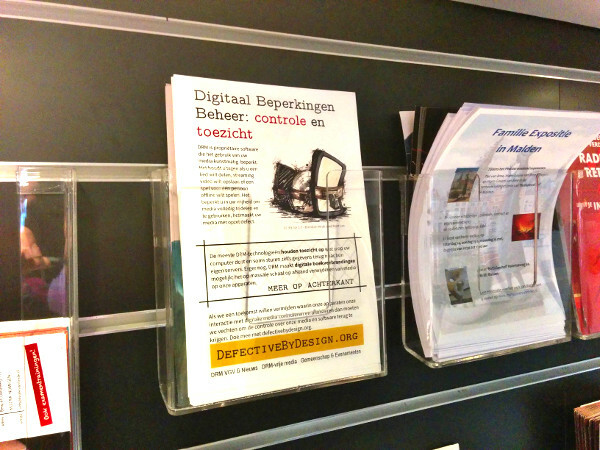 Make use of our DRM FAQ and anti-DRM flyers. Contact us at info@defectivebydesign.org to let us know about groups who might join forces with us to fight DRM. Join the conversation on the Defective by Design discussion list or the #dbd IRC channel on Freenode. Buy DRM-free media from these companies offering discounts for the Day Against DRM. Many more DRM-free media providers are linked to in the Guide to DRM-free Living. Are you affiliated with a business that sells DRM-free media? Get in touch at info@defectivebydesign.org for more information on how you can participate in the Day! Read more community writings about DRM and the Day on the LibrePlanet wiki. It's editable by anyone, so please add any posts you find (or write! ).